Are you looking a way to present your data in a readable and better format? then are you are reading the right article. In this quick WordPress beginner tutorial you will learn how to add beautiful Tables in WordPress site. Tables are very useful and important tool to present your data in a beautiful way. if you don't have any coding experience, then don't worry its not require any coding languages. 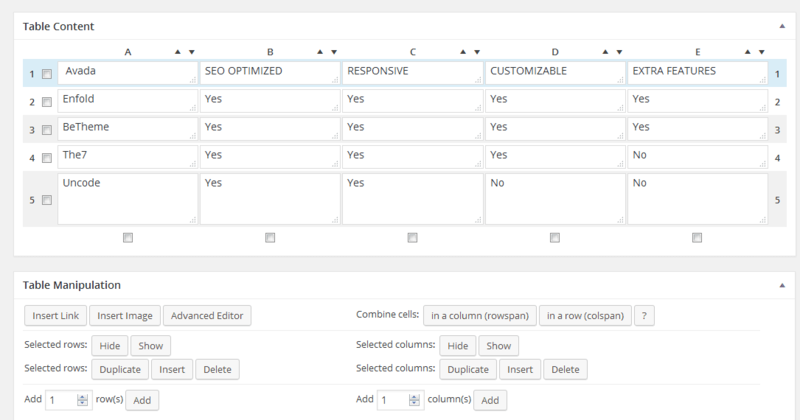 So we will create the tables for posts using the most popular WordPress Table Plugin. 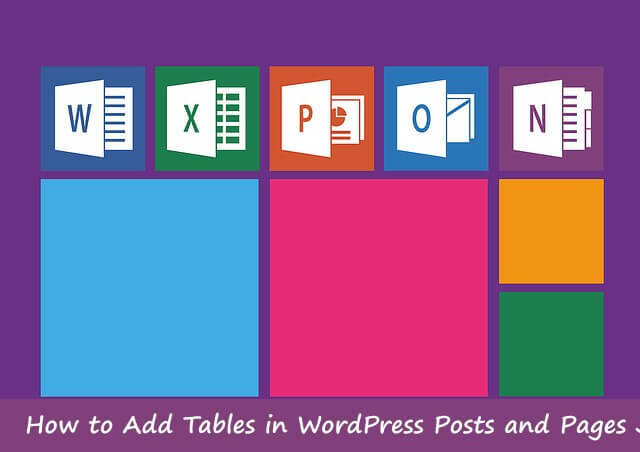 TablePress is most popular WordPress plugin which allows you to create and add tables to your site. It's very easy to add and it comes with many best features which makes Tables awesome and powerful. And you can also import and export the tables in Excel, CSV, HTML, and JSON files. More than 400,000+ WordPress websites using this plugin and you should too. There many other plugins you can use them too. To create and add the Tables in you WordPress site the first thing that you need to do is Download and install the "TablePress" plugin from your WordPress plugins tab. Or just download and upload manaully. Don't know how to install ? Then read how to upload and instal WordPress plugins. After you done, You will see new tab in your WordPress admin area named "TablesPress". click on that and create new table. 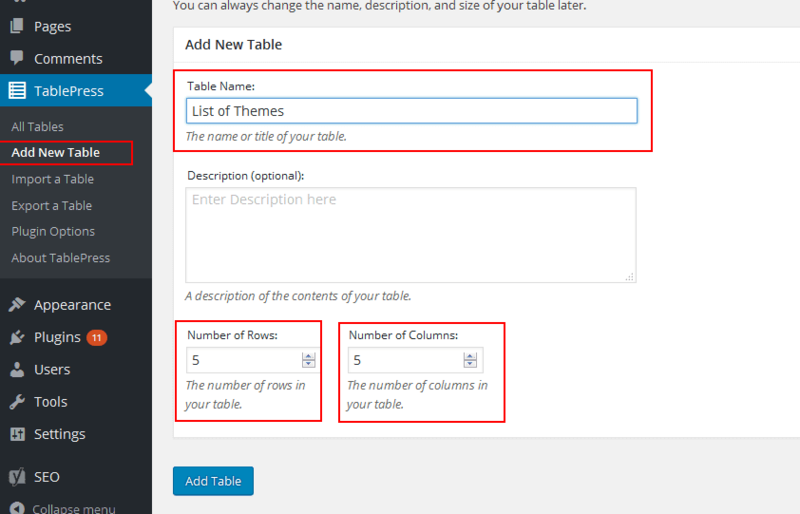 On next page add title for your Table and set the numbers of rows and columns. 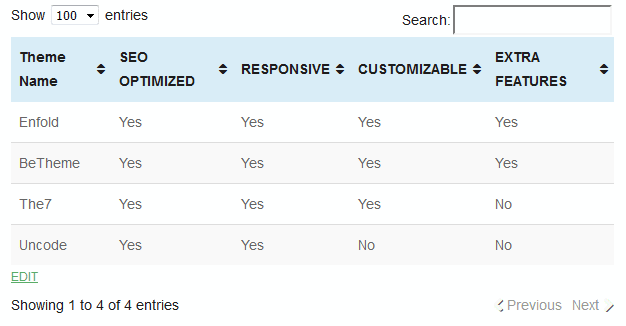 On the next page you can add content to your tables and you can also add links, image and others widgets. So create the tables and then save it. Once you have created the tables then you need to copy your table shortcode from that page. add you can add this table in your Pages, Post using the shortcode. Or just go to your post and under the Editor tools you will see TablePress tool click on that add your table in your post. 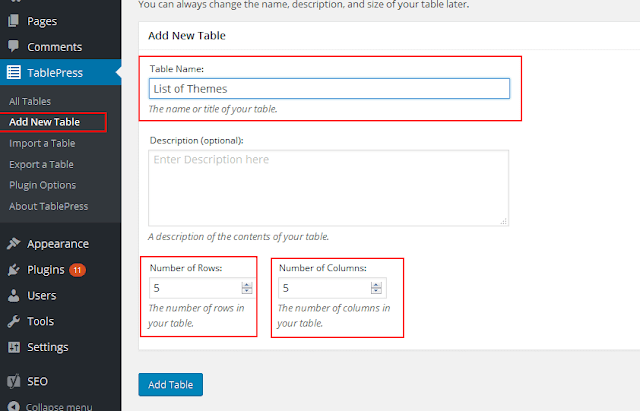 That's it, So This is how easily you can add Tables to your WordPress posts or pages. We hope this tutorial may help you to create tables if it does then make sure to like and follow us on Twitter, Facebook to get latest updates from us.